The best game viewing months in Uganda are during the dry seasons from June to August and December to February. Primate walks in the forest are a big part of any safari in Uganda. The habitat of rainforests is, by default, very wet and one can’t avoid rain completely. However, after heavy rain, the skies often open up to bright sunshine. June to September is high season. It’s rarely crowded, but you’ll need to book your gorilla permits long in advance. March, April, May, October, November are low season. Some lodges and camps in high rainfall areas close down, roads and forest trails can be in poor condition. 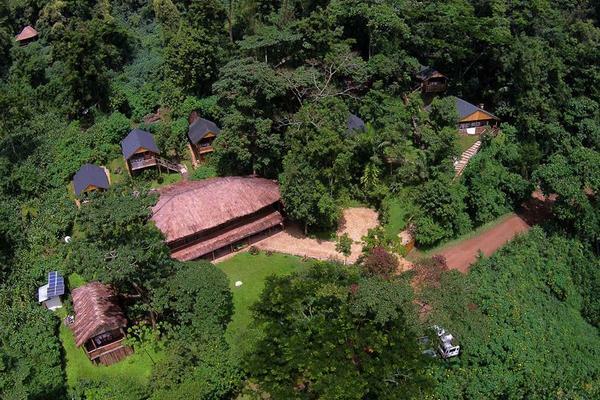 Bwindi Impenetrable National Park – is the richest forest in Uganda, in terms of the number of plant species. The valley bottoms contain a dense ground cover of herbs, vines, and shrubs with only a few trees hence its name, the impenetrable forest. There exists about one half of the world’s population of the endangered Mountain Gorillas as well as several endangered species of bird. Murchison Falls – is the largest National Park in Uganda covering an area of 3840 km squared. The river Nile divides the park into the North and the South sectors and forms spectacular falls. A boat cruise up stream to the Falls provides an unforgettable experience. The park is home to a variety of big game and a lot of bird life. In the southern sector of the park, the Rabongo Forest is home to Chimpanzees. Queen Elizabeth National Park – spreads over an area of 1978 km2 in the western arm of the Great East Rift Valley. It is home to a variety of wildlife, all typical of riverine and savannah habitats. In the southern park of the park is the Ishasha area with tree climbing lions and the Maramagambo, one of the largest surviving natural forests in Uganda. The northern part of the park is traversed by the equator and is dominated by the scenery of crater lakes with lots of flamingo on some of them. A boat trip along the Kazinga channel which joins Lake Edward and Lake George, provides one of the most memorable experiences of the park. 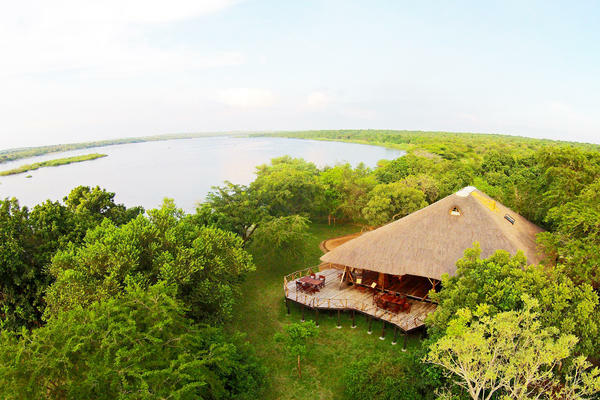 Lake Mburo National Park – is Uganda’s fourth national park. It is composed primarily of grassland, wetland, and acacia woodland habitats. At the centre of the park lies Lake Mburo which together with 14 other lakes in the area forms part of an extensive wetland system. Mgahinga Gorilla Sanctuary – found in the extreme southwest corner of Uganda that borders the DRC and Rwanda. This park is home of the rare Mountain Gorilla. Semliki National Park – contains a secluded forest area at the base of the Rwenzori Mountains on the border of DRC. The land is quite flat creating a startling contrast to the rugged Rwenzori Mountains nearby. 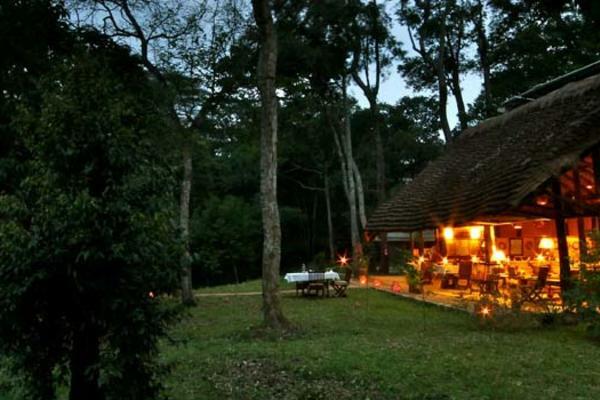 Kibale Forest National Park – located in the western corner of Uganda below the magnificent ‘Mountains of the Moon’ – Rwenzori Mountain Range. It is made up of verdant green forest, lakes and marshlands that provide a habitat for 13 primate species, 60 species of mammals including elephants, an array of birds and butterflies and plant life. Kibale is one of the best places in the world to go Chimpanzee Tracking with about 500 of these primates spread around the park. Kidepo Valley – one of the most spectacular parks in Uganda. Home to a variety of wildlife and birds. The park has spectacular mountains and savannah landscapes. In the north you can see the 2360 meter high peak of Mt Lotukei. Mount Elgon – is an extinct volcano located on the eastern part of Uganda on the border with Kenya. Most of the area is covered with typical afro-montane vegetation complete with giant groundsels and bamboo forests. Many travellers find Mt Elgon an exciting alternative to the more strenuous climbs in East Africa. Its slopes enchant visitors with caves, hot springs, waterfalls and abundant game. Lake Victoria– one of the Great Lakes of Africa. The world’s second largest fresh-water lake lies at an altitude of 1133m and is widely accepted to be the main source of the Nile. Rivers from large areas of Western Kenya, Northern Tanzania, Burundi and Rwanda gather in this shallow (only 80m deep) lake and begin, as Victoria Nile, their 6000km journey to the Mediterranean Sea.